When you’ve been injured as a result of someone’s negligence or misconduct, it’s important to retain an attorney who knows the courts where you’ll be required to file if you want to get the compensation to which you are entitled. Wirth Law Office has grown to represent clients across Eastern Oklahoma with the firm’s local branch offices providing hard-hitting lawyers in the local communities our attorneys call home. Tahlequah personal injury attorney Jennifer O’Daniel joined the Wirth Law Office to advocate for Cherokee County residents and for those with legal matters in Cherokee County District Court. O’Daniel knows Cherokee County’s court system. The Wirth Law Office Tahlequah personal injury lawyer understands that timely and adequate compensation can be urgent for a person who is unexpectedly injured by no fault of their own. Don’t miss your opportunity to avoid paying your own medical costs for an accident that was someone else’s fault. If you’ve been injured in a car crash or in any motor vehicle accident, in a slip and fall accident on someone else’s property, by a dog bite when someone failed to control their pet, by medical negligence or malpractice, by a defective product or any other circumstance where someone else’s improper actions caused you pain, suffering and medical expenses, contact the Tahlequah personal injury attorney to find out if you’re getting all of the compensation to which you are entitled. A wide range of events can result in the need to file a personal injury lawsuit. Some personal injury cases don’t fit neatly into any category, but most personal injury claims can be classified into general practice areas. When you rely on a medical professional, you trust the provider to afford an adequate standard of care. That’s not always what happens. The U.S. Department of Health and Human Services Office of Inspector General recently reported that 180,000 Medicare recipients die each year from hospital mistakes. That’s more than the annual death toll from motor vehicle accidents. It’s even more than the lives taken each year by common killer diseases – including diabetes and pneumonia. Yet pundits and politicians clamor about frivolous lawsuits driving up the cost of health care. There’s nothing frivolous about seeking compensation to which you are entitled when you come home from the hospital in worse shape than before because of professional neglect or medical errors. Well-d0cumented and rampant medical errors are the reason medical professionals must carry malpractice insurance. When you seek compensation after a medical mistake, you’re not only helping yourself and your family; you also help encourage medical professionals to approach their work with more concern. Injuries from motor vehicle accidents are the leading cause of death among children under the age of 19 in the United States. In one recent year, 2.3 million Americans visited emergency rooms after they were injured in motor vehicle crashes. Auto insurance companies may advertise concierge service after accidents, including promises of quick service by on-call adjusters. They may be there for you when it happens, but will they be there in the long haul? It’s no surprise auto insurance adjusters often rush to reach settlements with accident victims. After an accident, you may want more than anything just to return to normal. With a new car and some cash to pay down medical bills, you may think the incident is behind you. But wait. Does the settlement offer cover all of your past, present and future medical costs resulting from the accident? Were you partially disabled in the accident? Did you incur other transportation or living expenses as a result of the accident? You may be entitled to more compensation than the adjuster is ready to acknowledge. That’s when you need a personal injury lawyer. Each year, about one of every three men or women over the age of 65 experience a fall, and a significant number suffer moderate to severe injuries. Falls are common and so are the circumstances that can lead to falls. Uneven stairs, uncleared snow and ice, debris left in walkways, soapy water on floors from cleaning buckets, grease on floors that weren’t cleaned — each of these are avoidable hazards. You might not put a “Wet Floor” sign up to warn your children each time you mop your own kitchen, but businesses that encourage you to visit their locations have a duty to exercise reasonable care. When they fail in that duty and you are injured, you may be entitled to compensation. 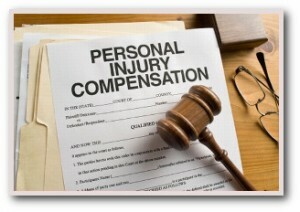 In all personal injury cases, timely action is urgent. Another standard axiom in personal injury law is to never settle before you find out what your case is really worth. Have you documented all past medical costs? Have you anticipated future medical costs that might result from the injury? Were others injured by a similar medical procedure or defective product, which might give rise to a class action? It’s important to seek the counsel of an experienced personal injury attorney before you entertain an offer from an adjuster whose job is to keep payments as low as possible. Before you settle for less than every penny to which you are entitled, contact a personal injury attorney to find out what your case is worth. For a free consultation with a Tahlequah Oklahoma personal injury lawyer call the Wirth Law Office – Tahlequah at (918) 458-2677 or toll Free at (888) 447-7262. Or, if you prefer e-mail, you may enter a legal question in the form at the top right of this page and we’ll reach you by e-mail as soon as possible.